Research is a methodical study of the given problem, performed to establish facts and reach conclusions. It is considered as a prominent tool because research is the first step of the marketing process. Market research is used to collect the information about the market, such as consumers needs, preferences, interests, market trends, latest fashion and so on. Market research should not be confused with marketing reasearch, which is the scientific and objective study of the overall marketing process which involves collection, analysis, communication and utilization of information, so as to help the management in the process of decision making and also resolving marketing problems. Check out the article provided below, in which we have discussed the substantial differences between market research and marketing research. Meaning A study undertaken to collect information about the market statistics, is known as market research. Marketing research is the systematic and objective study, analysis and interpretation of problem related to marketing activities. Involves Research of marketplace and the buyer's behavior within that market. Research of all the aspects of marketing. Purpose To check the viability of the product in the target market. To make effective decisions regarding marketing activities and to keep control on the marketing of economic output. Market Research, as its name suggests, it is the study of the target market. It is an act of collecting information about the marketplace and consumers within that market. It is used to ascertain and analyse the market structure, size, recent trends, major players, customer needs, taste, preferences, buying behaviour. Ascertain the party who will conduct the research. Choosing an appropriate technique for research. Organization, interpretation and analysis of the result. Identify the problem, decision alternative and research objectives. Market Research refers to the study of the entire market and consumer behavior, within that market. Marketing research implies well planned and rational study, analysis, and interpretation of marketing problems undertaken for actionable decision making. 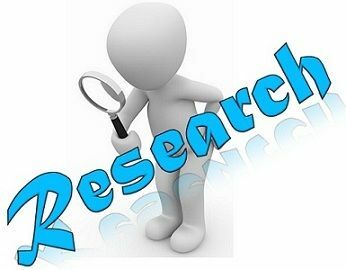 Market research is a branch of marketing research, whereas marketing research is a component of marketing information system. The scope of market research is limited as it studies about the aspects of market and consumer behavior only. On the other hand, marketing research involves the study of the whole marketing process, i.e. the research of advertising, pricing, packaging, policymaking and the market as well. Market research is specific in nature, i.e. the research gives and understanding about the particular market which is not applicable to other markets. Conversely, marketing research is generic in nature, i.e. the study can be helpful in solving various marketing problems. Marketing research is dependent while marketing research is independent. Market research is conducted to check the viability of the product in the target market. Unlike marketing research is carried out to make effective decisions regarding marketing activities and to keep control on the marketing of economic output i.e. goods and services. Market research involves research of the marketplace and the buyer’s behavior within that market. In contrast to marketing research, that involves the study, of all aspects of marketing. After the above discussion, it can be said that marketing research is a wider term than market research. In fact, the market research itself is a part of marketing research. Both the researches involve quantitative and qualitative techniques to gather information like focus groups, surveys (telephonic conversation or face to face communication), interviews, questionnaires. Moreover, the researches are very helpful for the business startups and the existing businesses to take effective decisions regarding the business such as product or service you serve your customers, place of doing business, distribution channels to be employed by the business, promotional channels and so on.